Eleven intermediate-level pieces in popular styles including Jazz, Funk, Rock ?n? 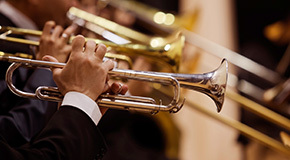 Roll, Reggae, Mariachi and film music for experienced trumpeters. 40 of the most memorable songs composed by the inimitable Andrew Lloyd Webber are gathered in this value-packed instrumental solo collection.